Vietnam ( UK: /ˌvjɛtˈnæm, -ˈnɑːm/ , US: /ˌviːət-/ ( listen );  Vietnamese : Việt Nampronounced [vîət nāːm] ( listen )), officially the Socialist Republic of Vietnam (Vietnamese : Cộng hòa xã hội chủ nghĩa Việt Nam), is the easternmost country on the Indochina Peninsula. With an estimated 94.6 million inhabitants as of 2016 [update] , it is the 15th most populous country in the world. 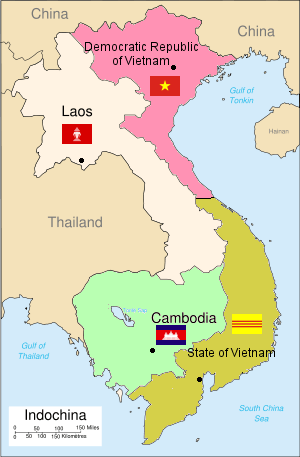 Vietnam is bordered by China to the north, Laos and Cambodia to the west, part of Thailand to the southwest, and the Philippines, Malaysia, and Indonesia across the South China Sea to the east and southeast. 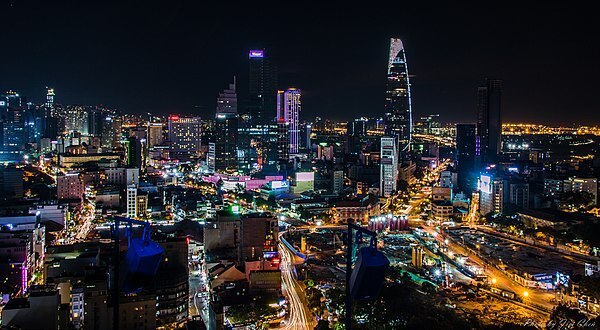 [n 3] Its capital city has been Hanoi since the reunification of North and South Vietnam in 1976, while its most populous city is Ho Chi Minh City. During the 3rd century BC, ancient Vietnamese people inhabited modern-day northern Vietnam and established the state of Âu Lạc. The independent state was annexed by Nam Việt in 179 BC. [n 4] Nam Việt was subsequently annexed by the Han Empire and became part of Imperial China for over a millennium from 111 BC to 939 AD. 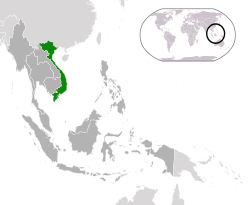 An independent Vietnamese state emerged in 939 following Vietnamese victory in the battle of Bạch Đằng against the Southern Han. Successive Vietnamese imperial dynasties flourished as the nation expanded geographically and politically into Southeast Asia until the Indochina Peninsula was colonised by the French in the mid-19th century. Northern Vietnam is one of the three geographical regions within Vietnam. Âu Lạc (甌雒/甌駱) was the name of the Vietnamese state from 257 BCE to 179 BCE. 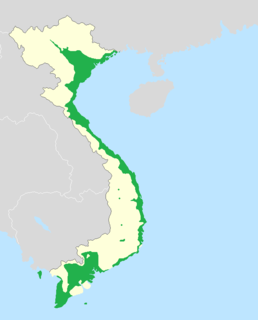 It merged the lands of the former states of Nam Cương and Văn Lang until it was annexed into the state of Nam Việt (Nanyue). The capital was Cổ Loa, located in present-day Hanoi's Dong Anh district. Nanyue or Nam Viet was an ancient kingdom that covered parts of northern Vietnam and the modern Chinese provinces of Guangdong, Guangxi, and Yunnan. Nanyue was established in 204 BC at the collapse of the Qin dynasty by Zhao Tuo, then Commander of Nanhai. At first, it consisted of the commanderies Nanhai, Guilin, and Xiang. 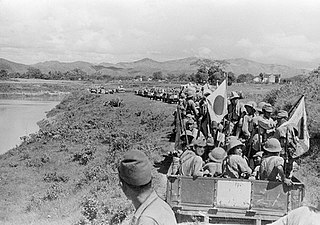 The Japanese invasion of French Indochina was a short undeclared military confrontation between Japan and France in northern French Indochina. Fighting lasted from 22 to 26 September 1940, simultaneous with the Battle of South Guangxi in the Sino-Japanese War. Đổi Mới is the name given to the economic reforms initiated in Vietnam in 1986 with the goal of creating a "socialist-oriented market economy". The term đổi mới itself is a general term with wide use in the Vietnamese language. However, the Doi Moi Policy refers specifically to these reforms. 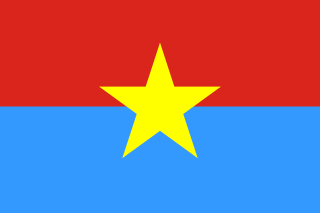 The communist government in the north, the Democratic Republic of Vietnam (DRV), adopted a centrally planned economy at its inception. Under the command economy, the central government decided output targets and prices, input supplies, domestic wholesale and retail trade, and international trade; the state was aiming at creating a vertically integrated economy where there was no commercial contact among individual production units horizontally. In the agricultural sector, the government formed cooperatives in three stages; production solidarity groups, lower-level cooperatives where land and equipment were shared, and higher-level cooperatives in which a system of workpoints determined distribution of all income. However, the command economy was abolished by the late 1980s following the 6th National Congress of the Communist Party of Vietnam. As of September 2016, Vietnam maintains diplomatic relationships with 188 nations throughout the world, including permanent members of United Nations Security Council. In 2011 the Central Committee of the Communist Party of Vietnam, at the 11th National Congress of the Communist Party of Vietnam, released an official statement about Vietnam's foreign policy and a section of the statement stated: "Vietnam is a friend and reliable partner of all countries in the international community, actively taking part in international and regional cooperation processes. Deepen, stabilize and sustain established international relations. Develop relations with countries and territories in the world, as well as international organizations, while showing: respect for each other's independence; sovereignty and territorial integrity; non-interference in each other's international affairs; non-use or threat of force; settlement of disagreements and disputes by means of peaceful negotiations; mutual respect, equality and mutual benefit." The Triệu dynasty ruled the kingdom of Nányuè / Nam Việt, which consisted of parts of southern China as well as northern Vietnam. Its capital was Panyu, in modern Guangzhou. The founder of the dynasty, called Triệu Đà or Zhao Tuo, was a military governor for the Qin Empire. He asserted his independence in 207 BC when the Qin collapsed. 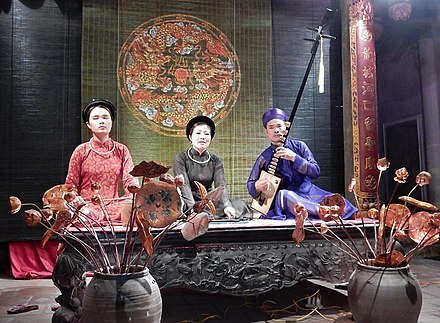 The ruling elite included both ethnic Chinese and native Yue, with intermarriage and assimilation encouraged. Triệu Đà conquered the Vietnamese state of Âu Lạc and led a coalition of Yuè states in a war against the Han Empire, which had been expanding southward. Subsequent rulers were less successful in asserting their independence and the Han conquered the kingdom in 111 BC. Lạng Sơn is a province in far northern Vietnam, bordering Guangxi province in China. Its capital is also called Lạng Sơn, which is a strategically important town at the border with China and is 137 kilometres (85 mi) northeast of Hanoi connected by rail and road. Lạng Sơn Province is bounded by China in the north, Cao Bằng Province borders the northwest, Ha Bac Province to the south, Quảng Ninh Province starting on the south and extending to the eastern border and Thái Nguyên Province to the west. The province covers an area of 8,327.6 square kilometres and as of 2008 it had a population of 759,000. Vietnam is divided into 58 provinces (Vietnamese: tỉnh, from the Chinese 省, shěng). There are also five municipalities (thành phố trực thuộc trung ương), which are administratively on the same level as provinces. As a result of several land reform measures, Vietnam has become a major exporter of agricultural products. It is now the world's largest producer of cashew nuts, with a one-third global share;  the largest producer of black pepper, accounting for one-third of the world's market;  and the second-largest rice exporter in the world after Thailand since the 1990s. Subsequently, Vietnam is also the world's second largest exporter of coffee. The country has the highest proportion of land use for permanent crops together with other nations in the Greater Mekong Subregion. Other primary exports include tea, rubber and fishery products although agriculture's share of Vietnam's GDP has fallen in recent decades, declining from 42% in 1989 to 20% in 2006 as production in other sectors of the economy has risen. The official national language of the country is Vietnamese (Tiếng Việt), a tonal Austroasiatic languages (Mon–Khmer) which is spoken by the majority of the population. 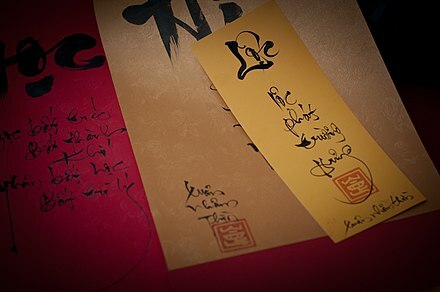 In its early history, Vietnamese writing used Chinese characters before a different meaning set of Chinese characters known as Chữ nôm developed between the 7th–13th century. The folk epic Truyện Kiều ("The Tale of Kieu", originally known as Đoạn trường tân thanh) by Nguyễn Du was written in Chữ nôm. Quốc ngữ as the romanised Vietnamese alphabet used for spoken Vietnamese, was developed in the 17th century by the Jesuit Alexandre de Rhodes and several other Catholic missionaries by using the alphabets of Romance languages, particularly the Portuguese alphabet which later became widely used through Vietnamese institutions during the French colonial period. Vietnam's minority groups speak a variety of languages, including Tày, Mường, Cham, Khmer, Chinese, Nùng and Hmong. The Montagnard peoples of the Central Highlands also speak a number of distinct languages as their language is derived from both the Austroasiatic and Malayo-Polynesian language groups. In recent years, a number of sign languages have developed in the major cities. ↑ Mạnh Cường & Ngọc Lin 2010. 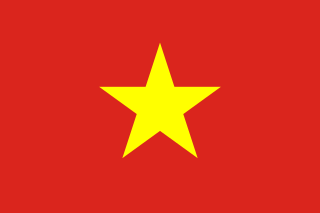 1 2 3 4 5 6 Government of Vietnam (II). 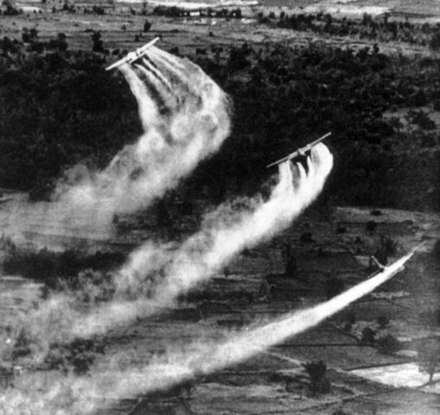 ↑ Government of Vietnam (I). ↑ Nam Việt is the Vietnamese pronunciation for Nanyue. Huế (Vietnamese: [hwě] is a city in central Vietnam that was the capital of Đàng Trong Kingdom from 1738 to 1775 and of the Nguyễn Dynasty from 1802 to 1945. A major attraction is its vast, 19th-century citadel, surrounded by a moat and thick stone walls. It encompasses the Imperial City, with palaces and shrines; the Forbidden Purple City, once the emperor's home; and a replica of the Royal Theater. The city was also the battleground for the Battle of Huế, which was one of the longest and bloodiest battles of the Vietnam War. 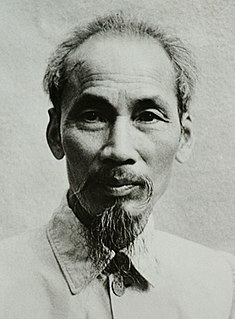 Hồ Chí Minh, born Nguyễn Sinh Cung, also known as Nguyễn Tất Thành,Nguyễn Ái Quốc, Bác Hồ or simply Bác ("Uncle"), was a Vietnamese Communist revolutionary leader who was Chairman and First Secretary of the Workers' Party of Vietnam. He was also Prime Minister (1945–1955) and President (1945–1969) of the Democratic Republic of Vietnam. He was a key figure in the foundation of the Democratic Republic of Vietnam in 1945 at the Ba Dinh Square in Hanoi as well as the People's Army of Vietnam and the Viet Cong during the Vietnam War. The Nguyễn dynasty or House of Nguyễn was the final imperial family of Vietnam. Their ancestral line can be traced back to the beginning of the Common Era. However, only by the mid-sixteenth century the most ambitious family branch, the Nguyễn Lords had risen to conquer, control and establish feudal rule over large territory. Lê Đức Anh is a Vietnamese politician and general who served as the fourth President of Vietnam from 1992 to 1997. He previously led the Vietnamese forces in Cambodia throughout the 1980s. He was regarded as a conservative who advocated maintaining tight party control over domestic policies. Nguyễn Phú Trọng is a Vietnamese politician who is the current General Secretary of the Communist Party of Vietnam, in office since 19 January 2011, and President of Vietnam, de jure head of state of Vietnam, in office since 23 October 2018. The North–South express railway is a proposed high speed railway in Vietnam. The line would begin in Hanoi, crossing provinces and municipalities of Hanoi, Hà Tây, Hà Nam, Ninh Bình, Thanh Hóa, Nghệ An, Hà Tĩnh, Quảng Bình, Quảng Trị, Thừa Thiên-Huế, Đà Nẵng, Quảng Nam, Quảng Ngãi, Bình Định, Phú Yên, Khánh Hòa, Ninh Thuận, Bình Thuận, Đồng Nai, Bình Dương, and coming to an end in Ho Chi Minh City. The rail line would connect the two most developed areas in Vietnam which are Hanoi in the North's Red River Delta in the north and Ho Chi Minh City in the South's Mekong River Delta. The total proposed length would be 1,570 kilometres (980 mi), compared with the 1,729-kilometre (1,074 mi) of the old railway line. The cost of the line is estimated at US$55.85 billion, to be funded by official development assistance from Japan and by the Vietnamese government itself. The project is planned to be implemented in three phases: Hanoi to Vinh city ; Vinh City to Nha Trang ; and Nha Trang to Ho Chi Minh City. Construction activities on the first phase are expected to commence in 2020 and the whole project is scheduled for completion in 2050. This project is part of the country's railway transport development strategy by 2020 with a vision to 2050. The project is also part of the Trans-Asian railway network. Taiwan–Vietnam relations are conducted on an unofficial level, as Hanoi adheres to a one-China policy and officially recognises the People's Republic of China only. However, this has not stopped bilateral visits and significant flows of migrants and investment capital between Taiwan and Vietnam. Taiwan has been the largest source of foreign direct investment in Vietnam since 2006. Both countries maintain representative offices; Taiwan is represented by branches of the Taipei Economic and Cultural Office in Hanoi and Ho Chi Minh City, while Vietnam is represented by the Vietnam Economic and Cultural Office in Taipei. Việt Nam is a variation of Nam Việt, a name that can be traced back to the Triệu dynasty. The word "Việt" originated as a shortened form of Bách Việt, a word used to refer to a people who lived in what is now southern China in ancient times. The word "Việt Nam", with the syllables in the modern order, first appears in the 16th century in a poem by Nguyễn Bỉnh Khiêm. "Annam", which originated as a Chinese name in the seventh century, was the common name of the country during the colonial period. Nationalist writer Phan Bội Châu revived the name "Vietnam" in the early 20th century. When rival communist and anti-communist governments were set up in 1945, both immediately adopted this as the country's official name. In English, the two syllables are usually combined into one word, "Vietnam." However, "Viet Nam" was once common usage and is still used by the United Nations and by the Vietnamese government. National Day is a national holiday in Vietnam observed on 2 September, commemorating President Hồ Chí Minh reading the Declarations of independence of Vietnam at Ba Đình Square in Hanoi on 2 September 1945. It is the country's National Day.